Meet a local insider for coffee, chat and an informal tour of your neighborhood in Tokyo as a way of getting your bearings on arrival. Tokyo is a vibrant city full of energy and history. It can be intimidating to know where to go, what to do, and how to find anything that's not already listed in a guidebook. In this two-hour sit-down chat and informal tour you will meet a local insider who knows Tokyo inside and out, what makes it different and special, and how to feel like a local while you are here. Ideal for your day of arrival, or very beginning of your trip. We begin by meeting you at your hotel or a coffee shop near where you are staying. Your insider will show up with maps, schedules of events, and tons of know-how about using local transport, where to eat, and fun places to visit. We'll spend about an hour together discussing your trip and answering any questions about what to do while you're here. Next, we'll hit the streets for a basic, 1-hour introduction to your neighborhood. We point out some local attractions—big and small—and orient you to your surroundings. Depending on where you're staying and what interests you we wander farther afield and explore the city more widely. 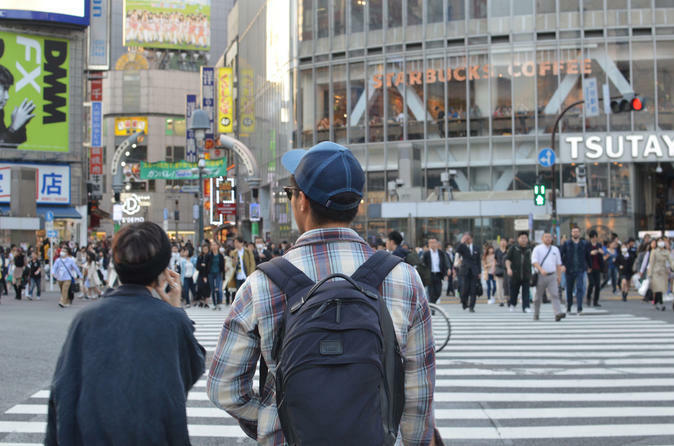 The goal of this experience is to give you insight into the local culture and pace of life in Tokyo so that you'll feel a little more local while you're here. We will explain local customs (How do you buy produce in the local market? What's the correct word for that breakfast pastry glistening with sugar? What is the local drink of choice?) and share with you a bit of the area's history. During these two hours together you will have the unique opportunity to learn from your insider's expertise and love for their city.